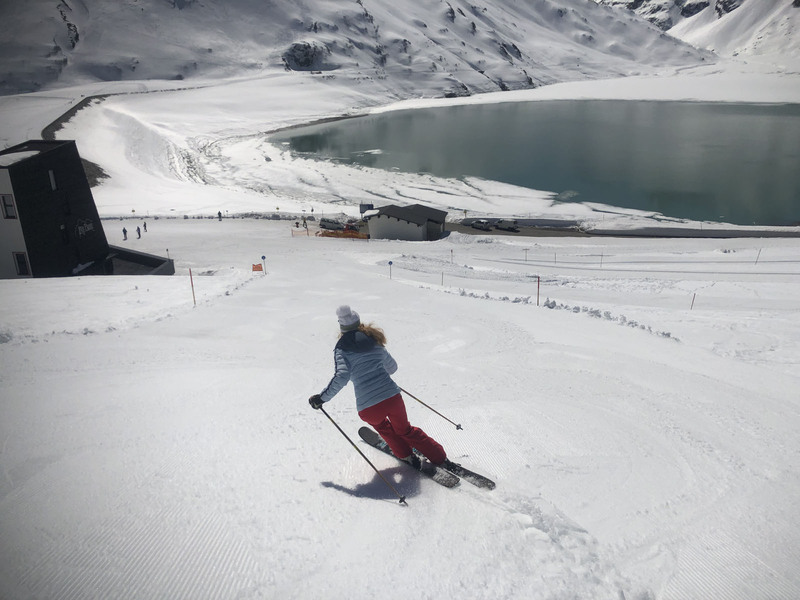 As of 2019 when we visited the cost was $20 for the Ski Safari if you have a Galtür lift ticket, $41 without. 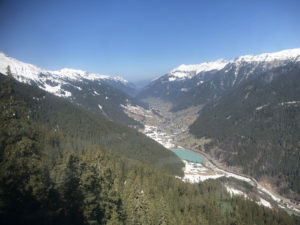 The Safari departs from Galtür most days at 10:30am, ask at the ticket window. 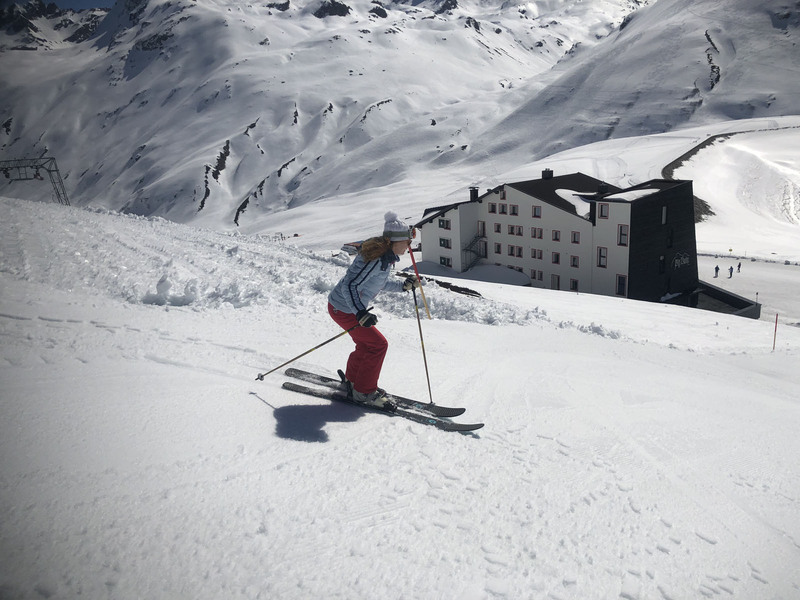 Or hire a guide from Galtür ski schule. The Galtür ticket window cashier merely hands you a one page map in German with VERY limited instructions and the trail is poorly marked at best. 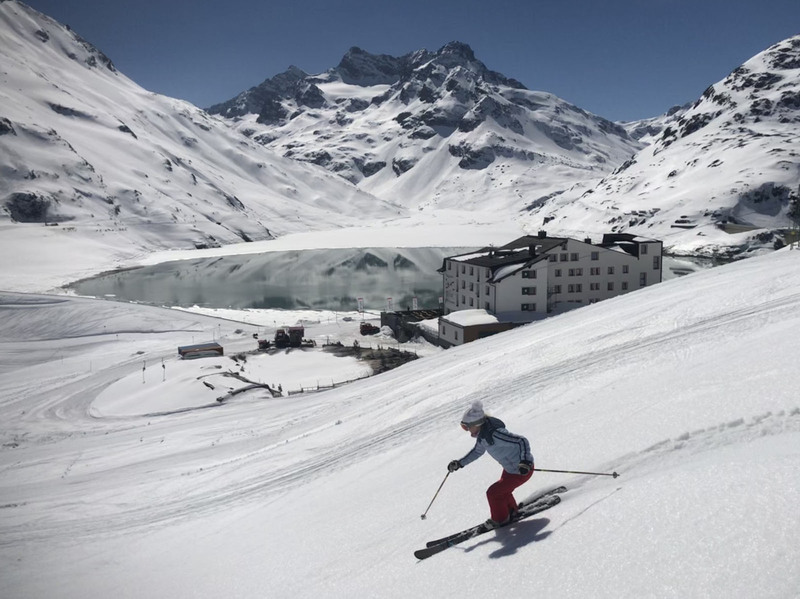 The Galtür Silvretta ski safari adventure starts at 10:30 several hundred feet above the base of KoppSeelift tbar. A Pisten Bully snow cat groomer shows up, the driver hops out and pulls out a long rope. 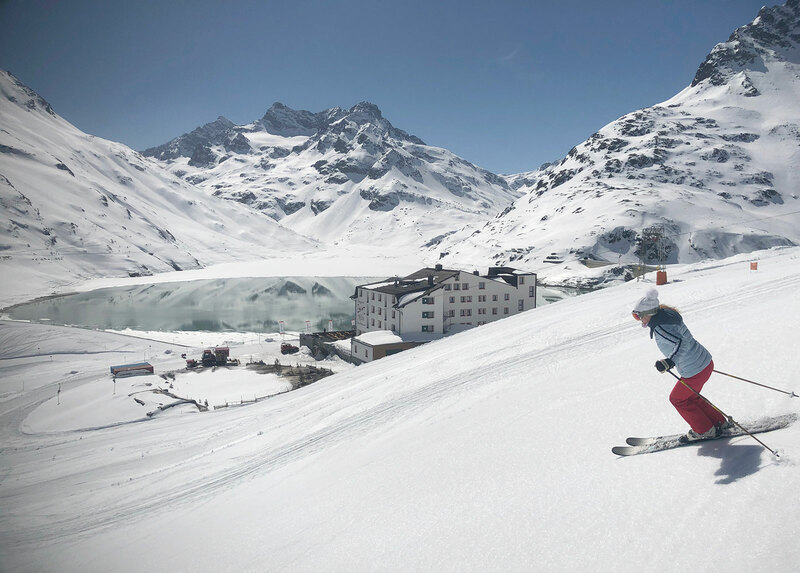 Skiers cue up and grab on for a pull passing by the beautiful Kopp Sea dam. 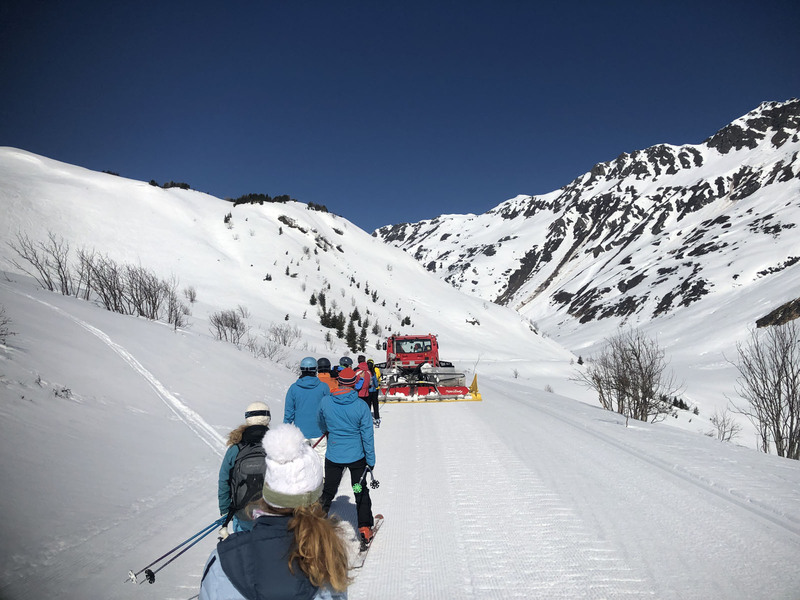 After a long gentle pull, the snow cat stops and we follow a narrow trail into the forest, signs are few and far between (we saw 2), as you ski switchbacks down the snowy hill path – sometimes groomed, sometimes not, so you should be a strong intermediate skier at minimum. 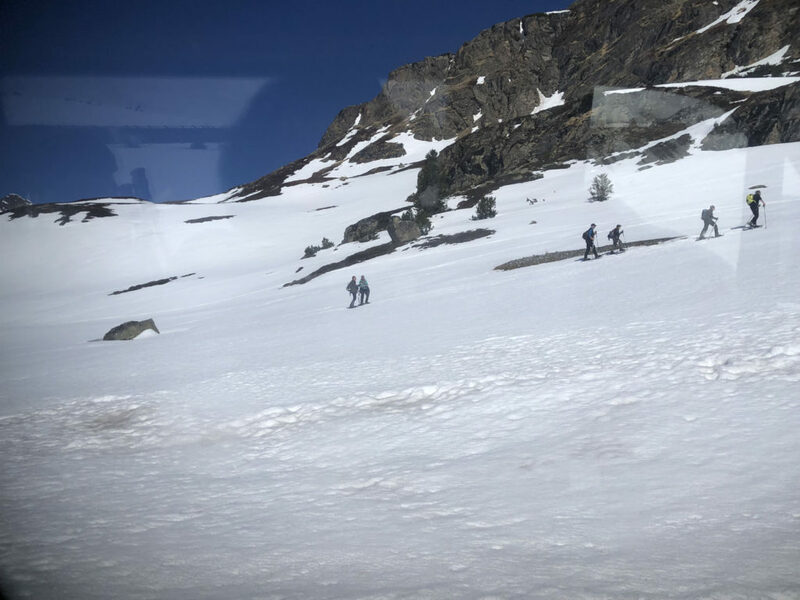 Hey, this is an adventure ski safari right?! Watch for the sign for Vermuntbahn near Montafon – that’s an important one we missed and had to hike back up to. Traverse the snow path toward the ski lift in the village of Partenen. 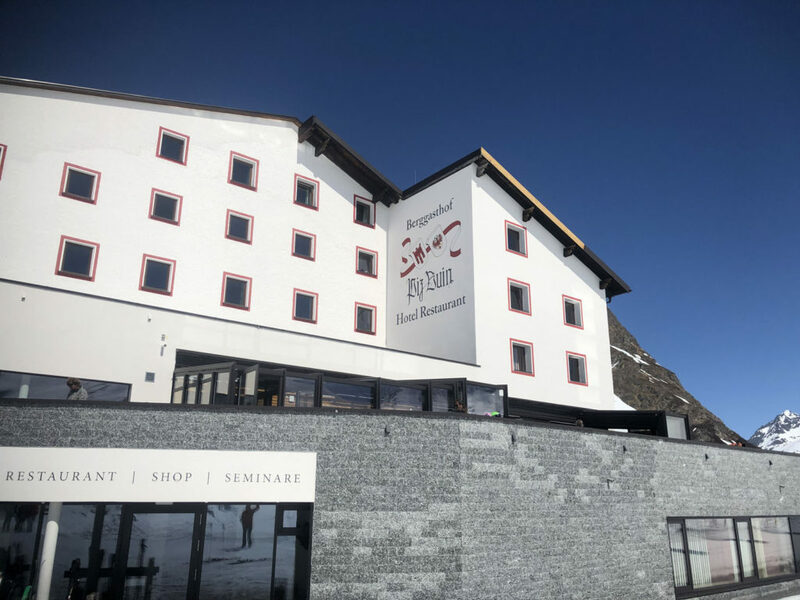 You ski or walk (depending on snow conditions) through the village following signs and looking for Golm ski area, and the Vermuntbahn tram. 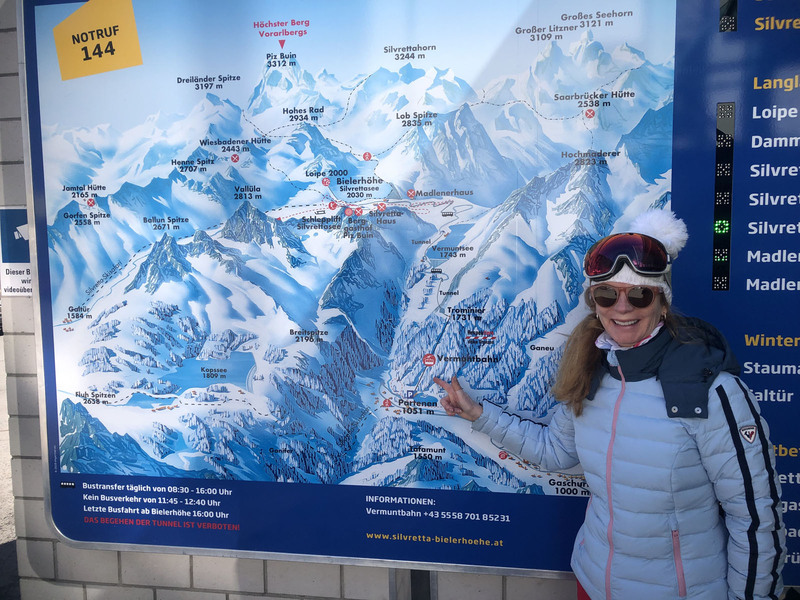 Your ski safari card is a valid to ride this lift, and you can check off another ski resort in Austria visited. You must make the Vermuntbahn tram here before the lunch break, Mittagpause, when the tram is closed from 12-1pm. 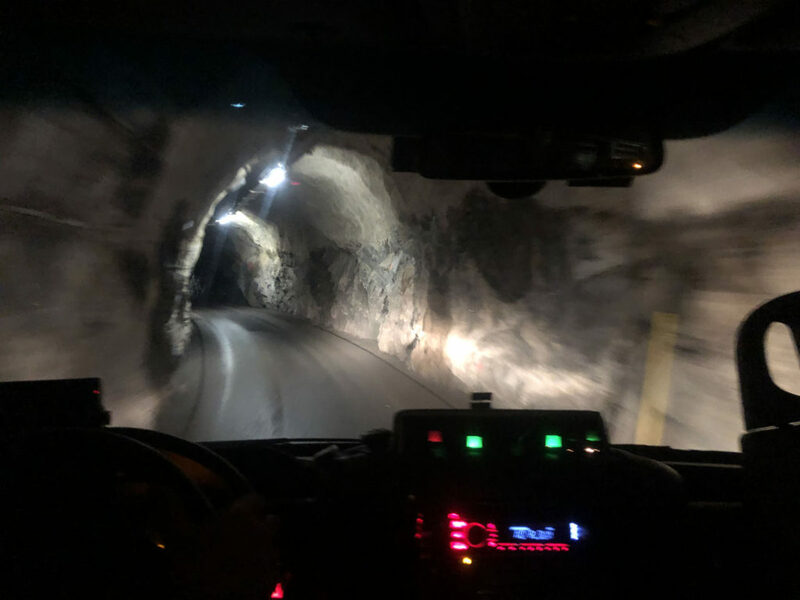 At the top of the Vermuntbahn tram, you hop into a tunnel taxi, the yellow van waiting for you, for a long ride through narrow dark one-lane tunnels blazing in through the mountain. 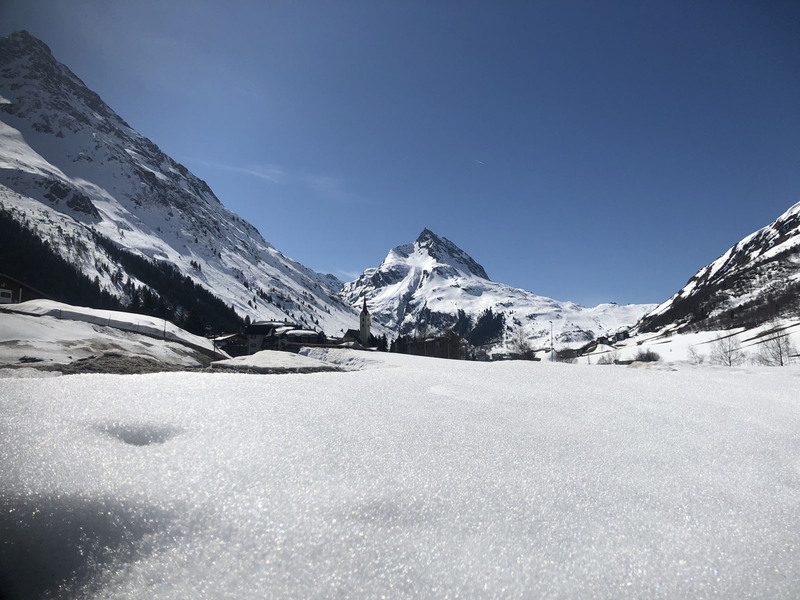 When we emerged from the cavernous turny tunnel route, popping out momentarily for sunshine and a view of the spectacular glacial Vermunt See at 1743 meters. 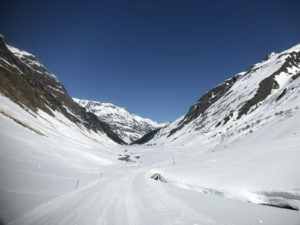 Back into the next tunnel, we then appear in daylight again at Silvretta Sea at 2,030m and Bielerhohe. 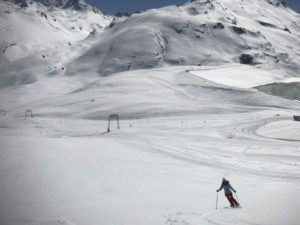 This spectacular – and remote- high alpine oasis, Bierhohe is where you lunch on the ski safari, at the lovely (and only) Hotel Berggasthof Piz Buin, we sat on the sun terrace and dined on grosti, goulash soup, accompanied by local Austrian Zweigelt wine, and finished with a warm foamy latte macchiato coffee drink before continuing our ski safari. 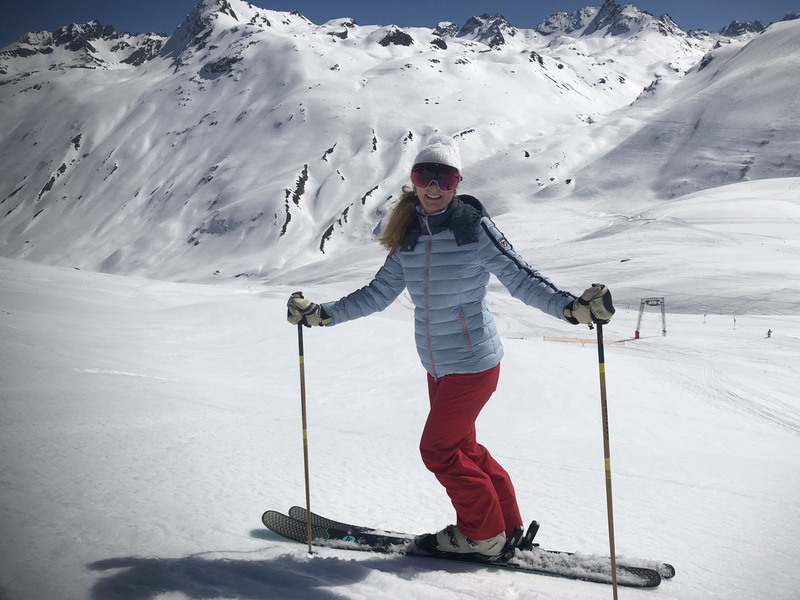 Continuing the ski safari from Bielerhohe, you follow the red poles along the moderately pitched valley floor, next to the Nordic tracks. On a sunny day with soft snow, there is some pushing, skating and poling. You can wait for a pull by Pisten Bully snow cat in Wirl which meets at 2:30pm to get a pull back to Galtür or do like we did and complete the safari under your own ski power, on the snow route back to the ski resort of Galtür. 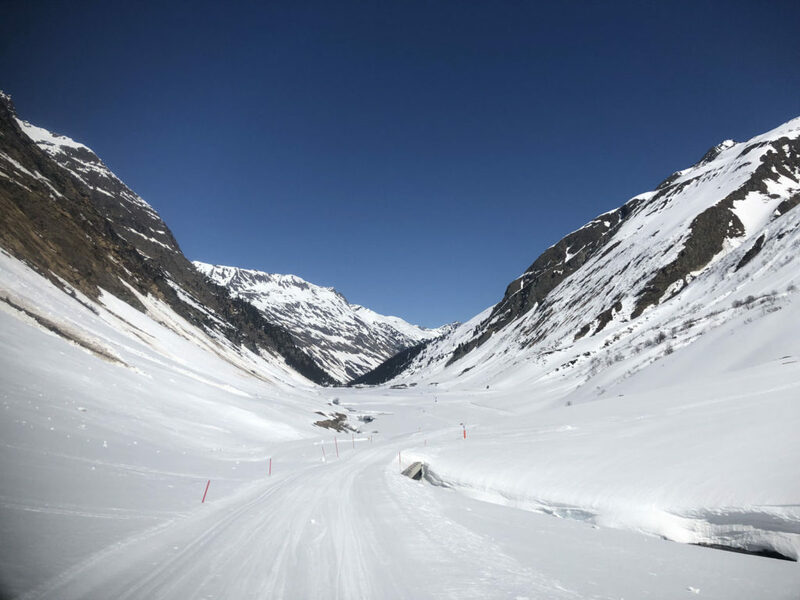 The ski safari follows the summer road to the hotel, blanketed under many meters of snow. 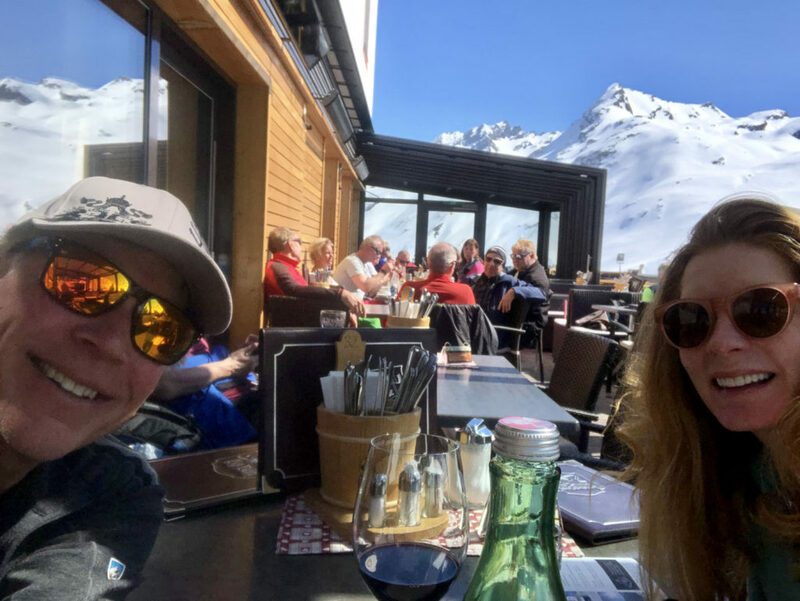 We made it around the safari in spare time that allowed for skiing both before and after on the ski slopes of Galtür, a fun family ski area. 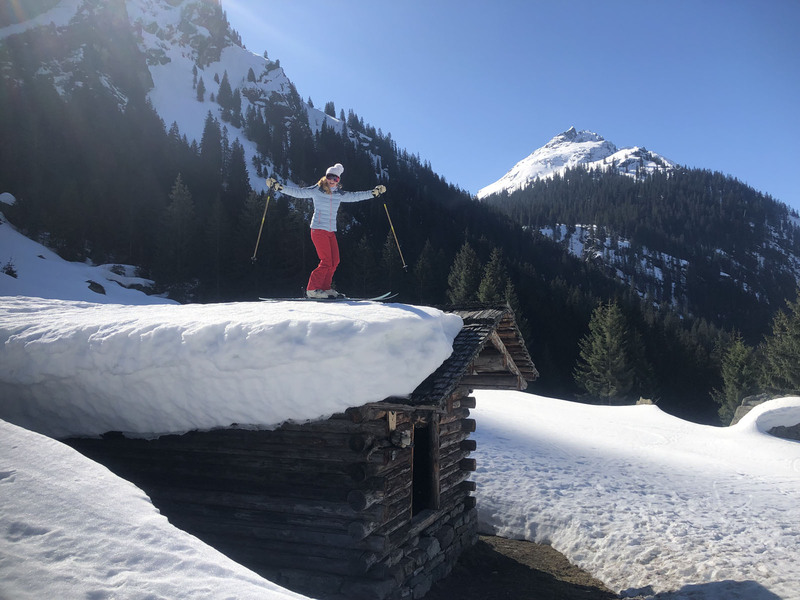 What an adventure, for intermediate to advanced skiers. 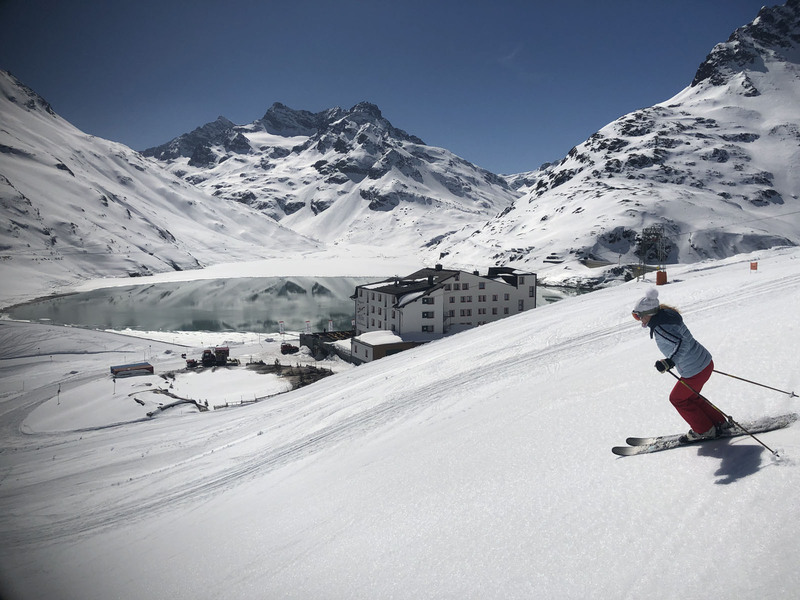 Snowboarders be warned – there’s a lot of skating or poling, so you’ll be walking, carrying your board. 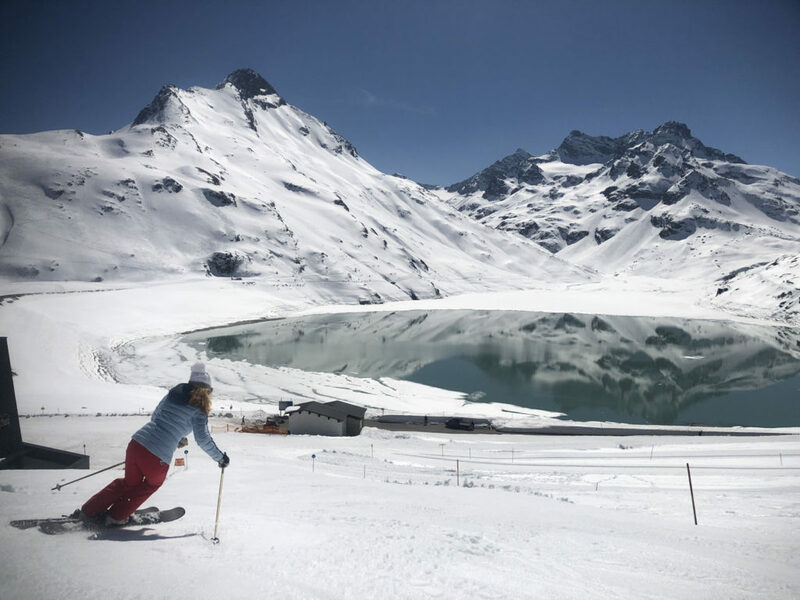 We recommend the Galtür Silvretta ski safari during a ski holiday in the Paznaun valley. 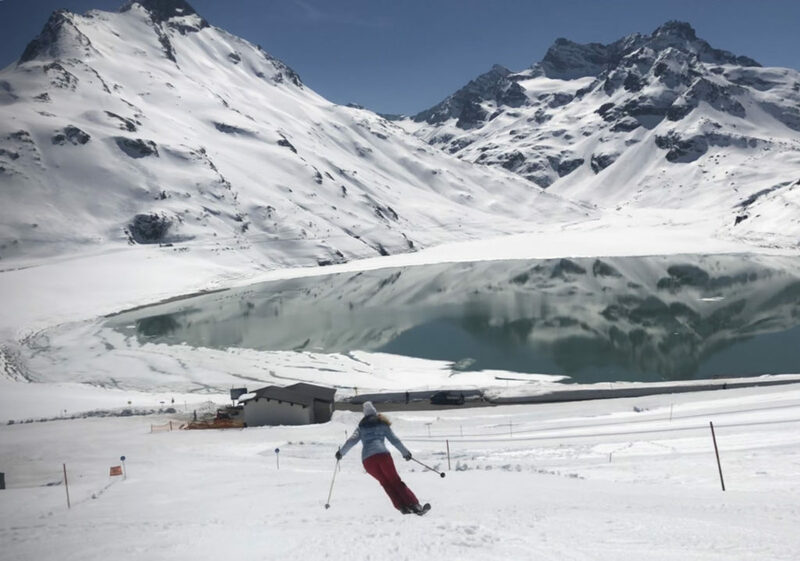 You could include a day or half day skiing the slopes at Galtür, and also visit nearby ski areas See and Kappl, and spend a few days at the biggest ski resort in the Paznaun region – Ischgl which actually connects to the Swiss ski resort of Samnaun on one inclusive ski ticket.